Vinyl wall decals and custom wallpaper murals are common, but not the ones we have at BannerBuzz. With our custom wall mural decals and adhesive wall art, you simply upload the image you want to see on your wall and select the size and the material you want for it. We have a range of designs, materials and even a large library you can peruse to your heart's content. 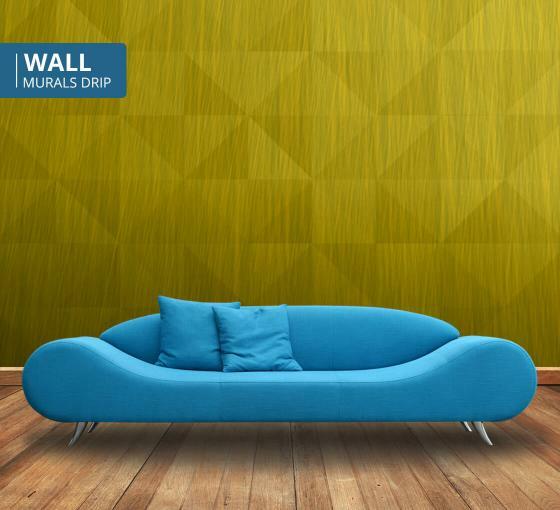 Buy wall murals online and you can even have them customized for that 'wow' factor and to add a dramatic flair. All of our custom wall mural decals and adhesive wall art are printed on self-adhesive fabric. If you are on a budget and short on time, yet want to make a statement with your home decor, BannerBuzz has your back. Turn to our easy solutions for wall d�cor that are extremely easy to put up and take down. You have complete creative freedom when it comes to the design, but we will not leave you hanging if you hit a roadblock either. Our design team is always on hand to address any needs or specific requirements you might have. Who says you need to have color for impact? If you have an eye for modern art or are a simple soul, our Black and White category will appeal to you and will provide a simple, yet soothing impact. Elegant, sophisticated but powerful, black and white photos can say a lot with very little and can prove ideal centerpieces in a room. Buy wall murals online and order a small piece to place above a sofa or a fireplace to make the d�cor come together. From prancing stallions to raging waterfalls, we have an impressive collection that is sure to appeal to her gentle, yet strong personality. Buy wall murals online and you can order to scale or any size you wish; it doesn't have to cover the whole wall to look great, after all. Are you a fan of the arts? Do you love music, are a photography buff or just looking for new and unique ideas to uplift your home d�cor The answer to all your desires lies with the adhesive wall art we have in stock. Celebrate your passion for the arts by going through the quality collection we have on the website. Pick ones that speak to you and we will enlarge them for truly remarkable custom wall mural decals. Add culture to the home d�cor with the selection we have. Perhaps musical notes and instruments adorning the wall will appeal to your musical senses? Or maybe your favorite actor or movie scenes? Whatever your needs are, we can deliver with custom wall mural decals that are made from quality fabric! We take a lot of pride in creating and providing customized wall murals that are considered some of the finest in the country. Once you order from us, all you have to do is sit back and wait for it to arrive. For any queries feel free to email us or call us for 24/7 assistance. We will be happy to be of assistance.